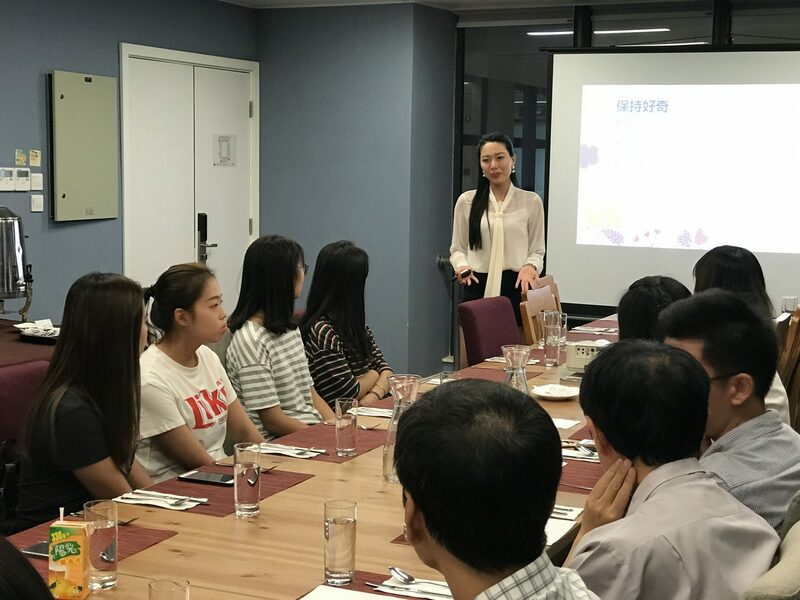 On 25th September 2017, well-known media professional and Miss Macao Laura Li Ruo Ying visited Stanley Ho East Asia College to join the Master’s Dinner. Laura Li shared her learning and work experiences, and enjoyed dinner with College students. She encouraged students to “read more books, always be kind and graceful”. During the contest of Miss Macao, despite the tough training, Laura Li did not give up her studies; on the contrary, she used the knowledge she learned to answer the questions, and won the championship with her talent. She hoped that students would cultivate a habit of reading, absorb more knowledge, and have the courage to grasp every opportunity. She also suggested that students should always remember to treat others kindly, learn to love oneself before being able to learn to love other people. Beauty and wisdom are equally important, an appropriate dress code means respect for others. It is important to achieve both beautiful appearance and spirit. In 2009, Laura Li won the Miss Macao champion and Miss Photogenic. In 2010, she earned a degree in English communication from the University of Macau (UM). She has served as a professional presenter for six years, and hosted the live current affairs programme “Macao Lecture”, attracting extensive public attention. She has hosted a number of large-scale events in Macao and China, and served as the emcee of the annual variety show that celebrated the 15th anniversary of Macau’s return to China, at which President Xi Jinping also attended. She obtained a postgraduate degree in international and public relations from The University of Hong Kong, and is now pursuing a doctorate in political sciences at UM. She is the current President of Macau Pageant Alliance. During the Master’s Dinner, Laura Li was willing to share her ideas and answered students’ questions patiently, and had joyful conversations with students. 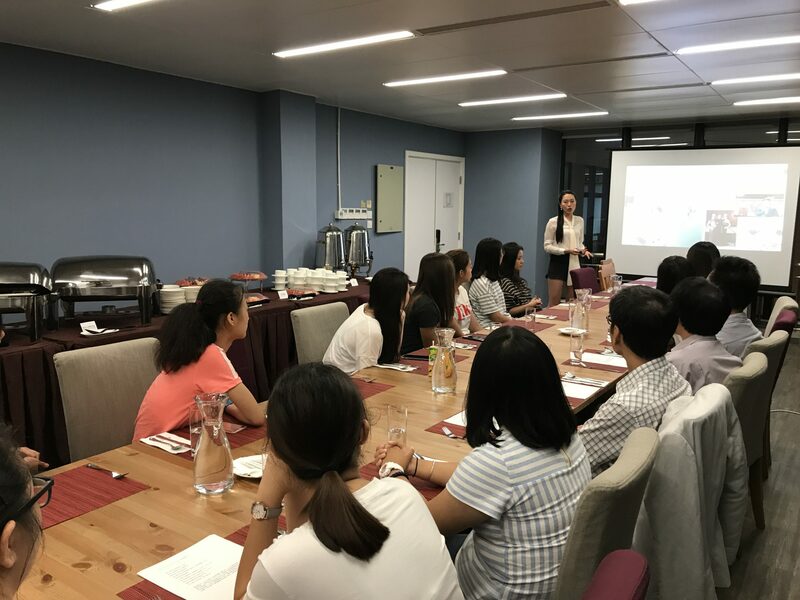 The participants expressed that Laura Li is very approachable, and both the experiences she shared and her attitude of dealing with people have inspired them.